Are you an adult in Alpine with misaligned teeth? 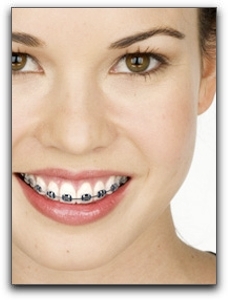 Do you regret not having orthodontic treatment when you were a teen? It’s not too late to straighten your teeth – and there are more types of braces available than ever before. Perhaps you are not familiar with the latest types of braces. Here is a quick rundown of the most common types used in Alpine, Jamul and Santee cosmetic dental practices. 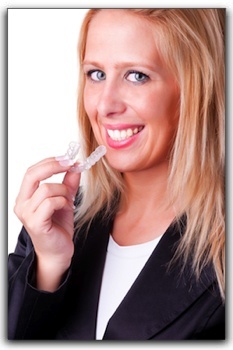 Clear retainers are also popular with San Diego orthodontists and their patients. They fit the teeth like a transparent glove without the need for hardware. 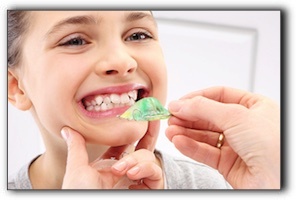 Some Alpine patients believe clear retainers are more comfortable than other types. If you want more beautiful teeth, come into Jeff Gray DDS in La Mesa and discuss your goals with Jeff Gray, DDS. Gray will examine your teeth and recommend the most effective system for you. Jeff Gray DDS is a full-service general, family, and cosmetic dental practice. We have been exceeding expectations since 1986. Ask us about Invisalign, porcelain veneers, and dentures. Welcome to my La Mesa cosmetic dental blog. I’m Dr. Jeff Gray of Jeff Gray DDS, a full-service La Mesa cosmetic dental practice. I have been practicing general and cosmetic dentistry in La Mesa, California since 1986. During this time, I have developed many rewarding relationships with my patients and staff members. Many dental patients have chosen cosmetic dentistry to correct misaligned teeth. La Mesa children with less-than-perfect smiles often feel self-conscious about their teeth. It is extremely satisfying to help a child or teen achieve a smile they can be proud of. Attractive teeth boost self-esteem for San Diego people of all ages. There are now several different types of braces available in San Diego, but Invisalign clear braces is a modern and easy approach to straightening your teeth. Your La Mesa cosmetic dentist will help you choose the best type for your particular situation. If you would like to discuss teeth-straightening options, I invite you to schedule a cosmetic dental consultation by calling (619) 337-7700. Perhaps your teeth are straight but have other imperfections. Teeth whitening, dental crowns and bridges, porcelain veneers, cosmetic bonding, gum contouring, and crown lengthening all deliver fantastic results. At Jeff Gray DDS we have been creating brilliant smiles in California since 1986. We specialize in general dentistry and extreme smile makeovers. Many San Diego folks have an aversion to dental visits. If you have delayed treatment because of dental anxiety, talk to us about sedation dentistry. Don’t let fear and anxiety prevent you from getting the care you need. Crooked Teeth in La Mesa? There are few technological wonders of our era that are more appreciated than modern braces. Teeth straightening hardware of past generations had many drawbacks. They often involved a whole orthodontic tool kit–full metal bands, headgear, elastics, spacers, and wires poking every which way. If you played an instrument that required the use of your mouth, well, it wasn’t pretty. 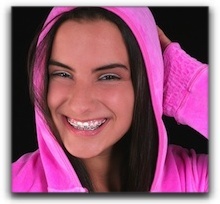 Metal braces for most in San Diego were uncomfortable, bulky, and downright ugly. They also created many hidden nooks and crannies for bacteria to quietly drill into your enamel. If you are too young to remember old school braces, you can’t truly appreciate the ceramic braces, clear braces, and Invisalign aligners available today right here in La Mesa nd San Diego. Even traditional metal braces are now smaller, less noticeable, and more comfortable. The advancements in La Mesa orthodontic treatments and shorter treatment times is one reason many San Diego adults have chosen to straighten their teeth even if they passed as a teenager. Does that mean you don’t need to have your child seen by a La Mesa orthodontist if you suspect problems? Absolutely not. 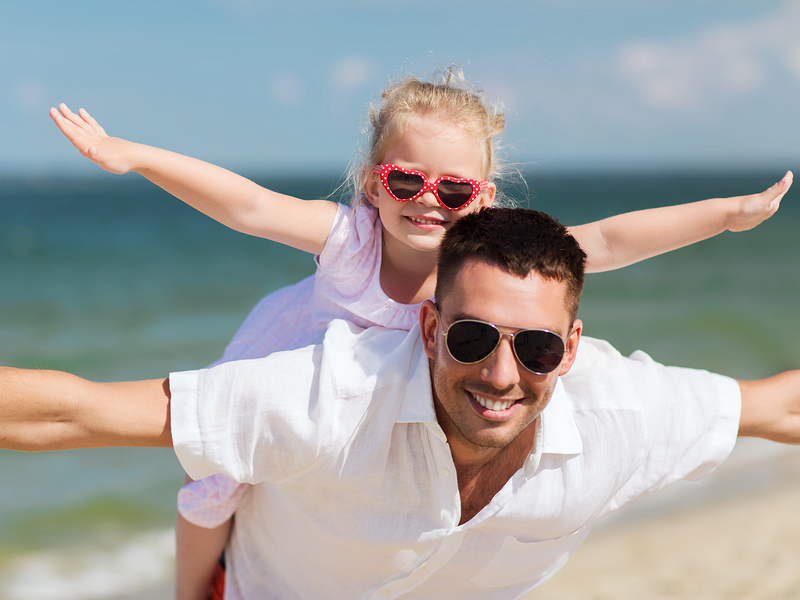 The American Association of Orthodontics recommends early San Diego orthodontic evaluation. It is always best to identify problems with teeth and jaw development early. Your orthodontist or pediatric dentist will know the proper age to begin treatment if necessary. We provide many cosmetic dental procedures at Jeff Gray DDS. 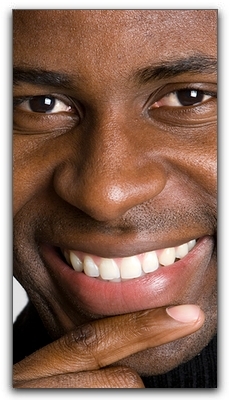 Did you know that porcelain veneers in San Diego can solve some less-extreme tooth alignment problems? If your teeth are fairly straight but your smile is compromised by a couple of damaged or chipped teeth, affordable porcelain veneers may be your one-visit solution. For more information about the La Mesa cosmetic dental options offered at Jeff Gray DDS in , see https://www.smilesandiego.com/meet-dr-jeff-gray/ or call (619) 337-7700. Hello! Welcome to my La Mesa cosmetic dentistry blog. Do you have crooked teeth? Do you wish you would have had braces as a kid, but feel it is too late now? Maybe you feel self-conscious about smiling with a mouth full of metal. 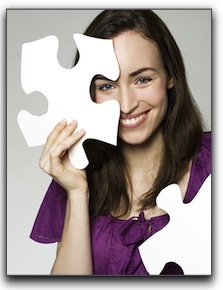 I have good news for you: at Jeff Gray DDS, we offer invisible braces. Don’t let the absence of metal fool you. The clear removable Invisalign aligners effectively correct the alignment and crowding problems that can affect the overall health of your teeth. My name is Dr. Jeff Gray of Jeff Gray DDS. My staff and I want you to feel great about your smile. In addition to invisible braces, we also offer dental restorations, teeth whitening, and porcelain veneers. Did you know that veneers can correct some alignment problems? Please call my La Mesa office today at 619-717-8560 to schedule an orthodontic consultation. Your oral health is important, so make sure you are getting the regular exams and cleanings you deserve. Here at Jeff Gray DDS, we provide the highest possible standard of dental care. Are you a San Diego adult who suffers with chronic headaches? Have you tried Imitrex, diet adjustments, and chiropractic treatment? Perhaps the cause is not stress-induced tension, spine alignment or eyestrain. Maybe the culprit is right under your nose. 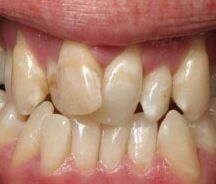 Bite misalignment or malocclusion is a common San Diego problem that often goes undetected. Nature intended the front teeth to fit slightly forward from the lower teeth. With a perfect bite, the molars fit together like precision gears. San Diego invisible braces are an effective solution for most bite problems. Invisalign braces not only move teeth, they can also correct the position and function of the joints, muscles and bones in the jaw. In cases of extreme malocclusion, jaw surgery in San Diego may be necessary. Not all San Diego cosmetic dentists treat bite problems. At Jeff Gray DDS we treat all types of malocclusion including overbite, underbite and crossbite. For an affordable San Diego cosmetic dentistry consultation, call us at 619-717-8560. Jeff Gray DDS offers technologically-advanced dentistry in a friendly environment. We offer smile whitening, veneers, tooth-colored fillings and dental implants. To learn more about our dental philosophy and available procedures, see https://www.smilesandiego.com/meet-dr-jeff-gray/. Dr. Jeff Gray is a proud member of the American Academy of Cosmetic Dentistry. Remember when San Diego adolescents undergoing orthodontic treatment were mortified by their metal mouth? Thankfully, those days are over. 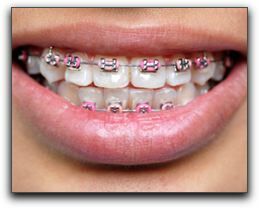 The La Mesa teens of today wear their braces proudly and make no effort to hide them. They know they don’t need to wait until their teeth are aligned to flaunt a striking smile; they enjoy flashing their brightly-colored braces in all their glory. Another plus? Just as they mix and match their clothes and shoes, teens can change their wires and bands every time they visit their San Diego dentist or orthodontist. Braces have become another fun way for La Mesa fashion-forward teens to express their personality. Of course, there are still some kids (and many adults!) that are not thrilled about having metallic fuchsia bands and neon yellow wires adorning their teeth. Discrete Invisalign aligners are virtually undetectable and straighten teeth just as quickly and effectively as metal braces. Another benefit of the Invisalign system is that the aligners are not permanently attached to the teeth. Invisalign aligners are easily slipped out for brushing, flossing, meals, and sports. If your La Mesa child plays a musical instrument that defies traditional braces, Invisalign invisible braces may be the best option. If you or one of your children need orthodontic treatment in the La Mesa area, call Jeff Gray DDS at 619-717-8560 to schedule a consultation with Dr. Jeff Gray. Jeff Gray DDS is located at 8555 Fletcher Parkway #102, La Mesa, CA. We also provide comprehensive restorative and cosmetic dentistry. If you need affordable state-of-the-art dental care in La Mesa, let us tell you about our financing options.